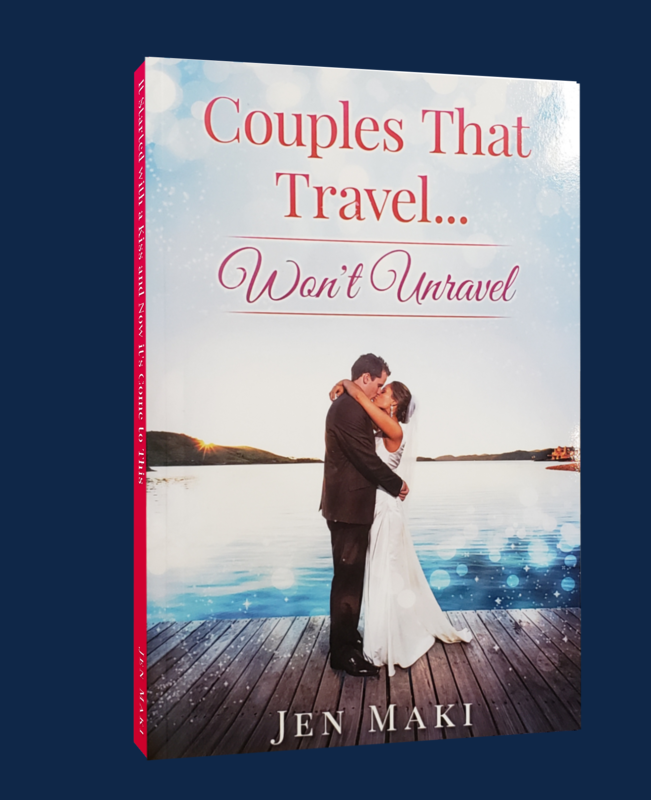 In her debut book, Couples That Travel... Won't Unravel, Jen Maki, Owner of Divine Destinations, reveals why travel is the secret ingredient to a long, healthy, happy relationship. Bringing over a decade of experience as a travel agent, along with her personal expeditions, Jen delivers sensible tips, hilarious recollections, silly anecdotes, and valuable insights. Part memoir and part how-to, Couples That Travel was written for the couple that lives for adventure, cultural exploration, rest and relaxation, and the deep connection that only comes when we leave our comfort zones to explore all the world has to offer. From destination weddings, elopements, and honeymoons, to 5, 10 and 40-year anniversary adventures, discover how travel can strengthen your relationship and keep the spark alive!